HISA State branches are run by committed and dedicated volunteers who ensure HISA a local presence by hosting events and networking opportunities throughout the year. To promote digital health and health informatics in healthcare and in the wider community. To provide networking and education opportunities for HISA members. To advance cooperation and the dissemination and exchange of information. To promote research, education, training and development to support e-health. To represent the interests of state informatics at the national level. All HISA members automatically become members of their local branch when joining HISA and are subscribed to the branch email list. More information on individual branches, including information about membership benefits and upcoming events, can be found in the corresponding links. If you are interested in starting a branch in a non-metro area, please contact HISA or call 03 9326 3311. State Branches are actively engaged in science, academia, all health sectors as well as the business community and hold regular networking and educational events on a wide range of topics. HISA State branches are run by committed and dedicated volunteers who ensure HISA a local presence by hosting events and networking opportunities throughout the year. All HISA members automatically become members of their local branch when joining HISA and are subscribed to the branch email list. Non-members are encouraged to attend, join the network and be part of HISA efforts to drive digital health at the State level. You can find your State branch here. 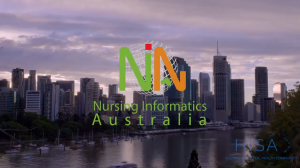 15th International Congress on Nursing Informatics (NI 2020) 26-29 July 2020 Brisbane Convention and Exhibition Centre NI 2020 will provide the world’s leading nurses and nursing informaticians a high quality platform for sharing of the world’s current research and application in these fields. Sponsoring HISA events is a great opportunity to showcase your involvement in and support for Australia’s e-health and health informatics community. To discuss sponsorship opportunities please contact our head office at 03 9326 3311 or email us. Get in front of an intimate group of decision makers, highly engaged with health informatics and tailored to your target audience. Our digital health community is member-based – they are engaged, informed and willing to hear about your company. HISA State Branch events have been approved for contact hours of continuing education credit toward renewal of the CHIA credential. Please see the individual event for approved hours. Click here for more information on becoming a certified health informatics professional.